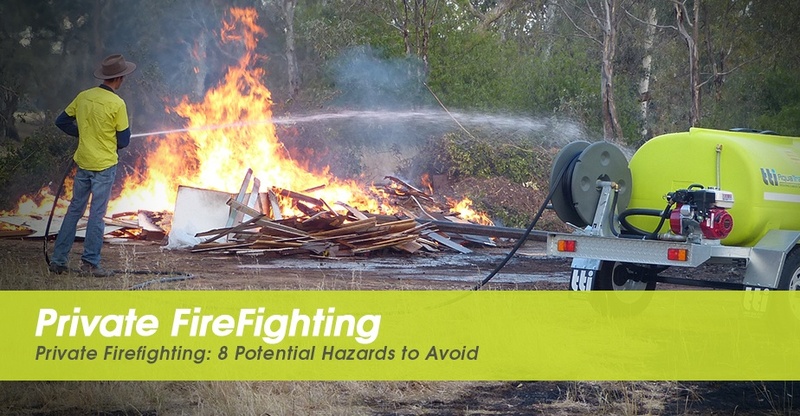 Throw in the fact that private equipment also significantly assists in blacking out and patrol after fire and it further underlines the value of being properly equipped. To help landowners be properly equipped to protect their property, we’ve put together this basic guide of common mistakes that are critical to get right. The vehicle’s Gross Vehicle Mass must not be exceeded. This is a critical safety issue. An overloaded vehicle will be less stable, harder to steer and has reduced braking capacity. A heavy vehicle means you’re also more likely to get bogged, and therefore trapped in a catastrophic situation. There is a real chance that rushing around paddocks and driving through culverts and dips etc could cause your equipment to fall of the back of your ute or trailer. The load including tank, pump and fittings are to be properly secured. Unsecured loads are illegal and may cause instability. Remember, objects falling from the vehicle can be lethal. To reduce the movement of water inside tanks installed on any vehicle it is recommended that all tanks have baffles. Tanks with baffles installed provide stability of the vehicle whilst is motion, especially cornering. The vehicle and pump should be in sound mechanical condition, be regularly serviced and easily started. 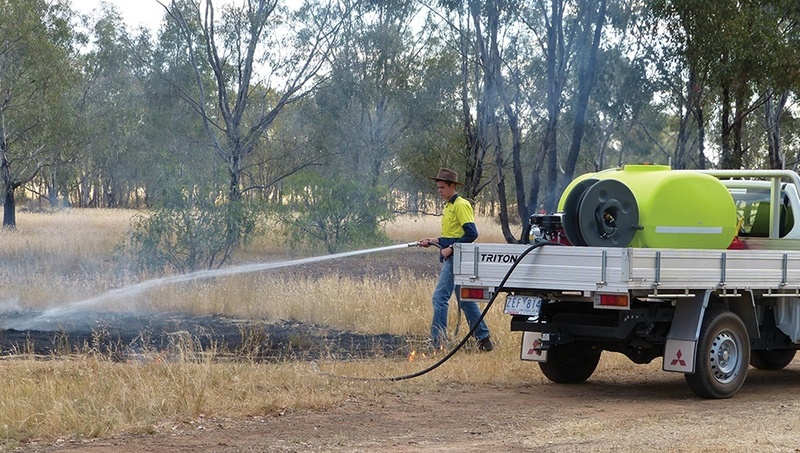 Equipment maintenance is essential, and should be undertaken pre fire season to ensure reliable service at a fire. Make sure your vehicle is equipped with a good quality UHF CB radio, or that you have access to a mobile phone. These can be an important tool to aid good communications at the fire. But remember your mobile phone is no use if its battery is flat or you don’t have the right phone numbers to call. Consult your local fire brigade about what form of communication you should use. Your vehicle should be equipped with an amber rotating beacon. At fires you have a responsibility to “see and be seen”. Amber rotating beacons as well as the vehicle’s illuminated headlights will assist in making your vehicle more visible particularly in smoky environments. The vehicle should have hand railings and heat shields, if personnel are to operate from the tray while the vehicle is moving. These features are absolutely essential to minimise the risk of being thrown from the vehicle and from being effected by the radiant heat from the fire. Falling from vehicles and equipment is the most common cause of injury for private firefighters. It is also imperative that the layout of the tray enables the operator to communicate with the driver. The vehicle should have a first aid kit and a woollen blanket to use for personal protection at fires.